Hednesford Town were able to make it two wins out of two in the Northern Premier League after defeating Eastwood Town on Tuesday evening, writes Scott Smith. Manager Rob Smith went with the same starting 11 which had kicked the season off in style on Saturday against Frickley Athletic as his Town side looked to pick up a second three point haul in three days. It was the hosts who almost took the lead though after just seven minutes when Anthony Griffiths Jnr headed against the bar after the Pitmen failed to clear their lines. As the half wore on Hednesford came more into the game and they thought they had taken the lead in the 40th minute when Neil Harvey superbly headed home from ten yards only to see his effort ruled out for offside. The Pitmen almost found a way through three minutes later as Aaron Rey saw his low skidding shot just turned behind by Eastwood goalkeeper Ian Deakin. 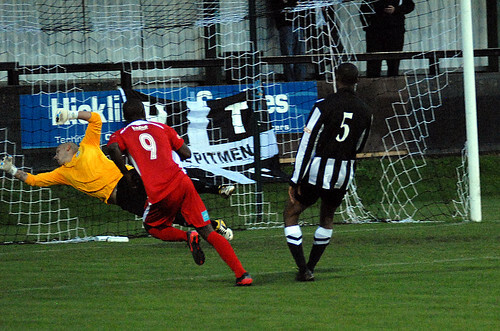 The second half saw the Pitmen start on the front foot and just two minutes into it they went 1-0 up. An Elliott Durrell freekick into the box was punched clear by goalkeeper Deakin only as far as Jamey Osborne who superbly lifted a shot into the top corner of the net over a crowd of players. 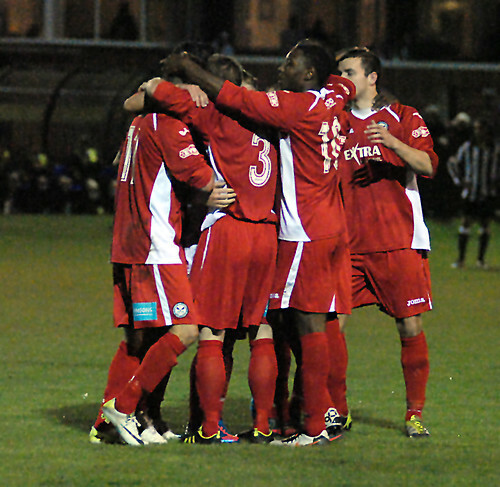 Hednesford continued to press and doubled their lead in the 56th minute. 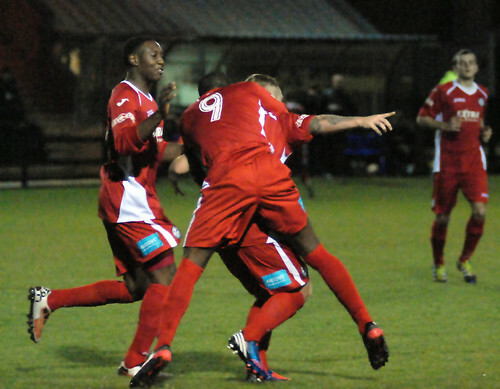 Right-back John Disney was able to get to the by-line and his cross found its way to Durrell who drilled home clinically off the inside of the post from 10-yards. Although the home side continued to push forward, they were restricted to just half chances as they flashed a couple of efforts across the face of goal and away to safety. It was actually Hednesford who almost increased their lead in the 79th minute as Sean O’Connor headed down to Michael Lennon, but the striker slipped just as he was about to pull the trigger and his shot was easily saved. In the end two would be enough for Hednesford as they prepared for the long trip to Blyth Spartans on Saturday before hosting Stafford Rangers at home on August Bank Holiday Monday, 3pm kickoff.